The University of Birmingham welcomes applications from students from Brazil. We currently have around 100 Brazilian students studying on undergraduate, postgraduate and Study Abroad programmes at the University. Find out about student life and how to get involved in the student community to make the most of your time here. We are delighted to be one of the UK institutions selected to participate in the Science without Borders (Ciencia sem Fronteiras) scheme. The following information is for guidance only and should be used together with the University's general entrance requirements and any specific degree programme requirements. Please note: If you have taken exams which are from another country's national education system (eg SAT and AP exams from the USA) you should consult the country specific section for that country for qualification equivalence information. A score of at least 8/10 in the Certificado de Conclusão de Ensino Médio (also known as: Certificado de Ensino Médio). To include a score of at least 8/10 in Mathematics for our Engineering and Physical Sciences pathway. Holders of the Licenciado/Bachelerado or equivalent Professional Title with a GPA of 7.5 or higher from a recognised Brazilian university will be considered for Postgraduate Diplomas and Masters degrees. Applicants for PhD study will preferably hold a Magister degree or equivalent. Our representatives, Language Partners and Love UK Brazil can assist you with questions about studying at the University of Birmingham. They can also help with the application process and offer visa guidance. The has offices in many countries throughout the world which are able to provide you with advice about studying in the UK. Most offices also have an education library and internet facilities where you can consult university material. 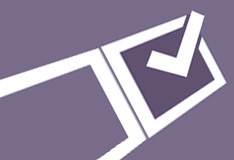 The British Council can also provide advice about funding opportunities. Interested in applying? Find out more about how to apply for undergraduate and postgraduate study at the University of Birmingham by watching our video above! Find undergraduate and postgraduate courses by searching the University of Birmingham's course finder database. Here you can find out course modules, as well as contact details for course queries. 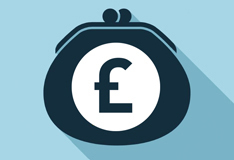 Find out more about fees and funding for undergraduate study. Find out more about fees and funding for postgraduate taught courses. 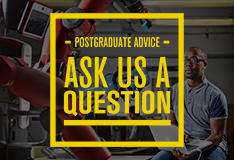 The Postgraduate Mentor Scheme is a support network for prospective University of Birmingham students. 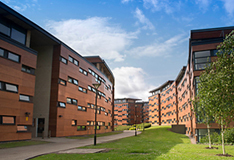 View our range of accommodation options for undergraduate and postgraduate students. There are currently no scheduled events for your country. Please check back again soon.